The high costs of printer hardware can make a developer's job difficult when designing a product which has printing capabilities. 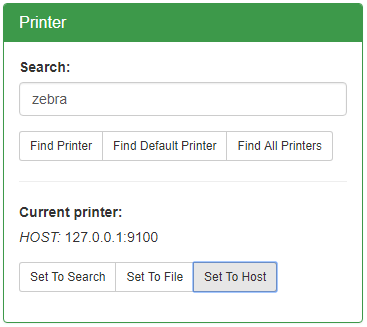 Various methods exist for printing to virtual printers which avoid the need to purchase physical hardware during the research and development phases of a project as well as baseline troubleshooting of functionality. Printer emulation is a critical part of reducing the overhead associated with a development lifecycle. Listed below are common printer hardware emulators/methods. Note: Increase the buffer to something large (e.g. 50000B) and use "set to host" to print.